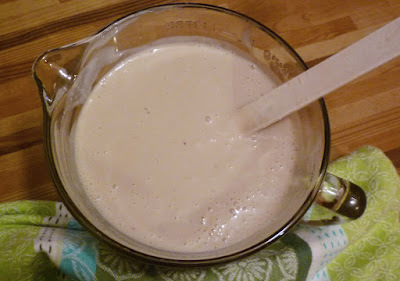 I admit that it might seem a bit odd to be posting a recipe for ice cream just as we are entering the cooler months of the year. 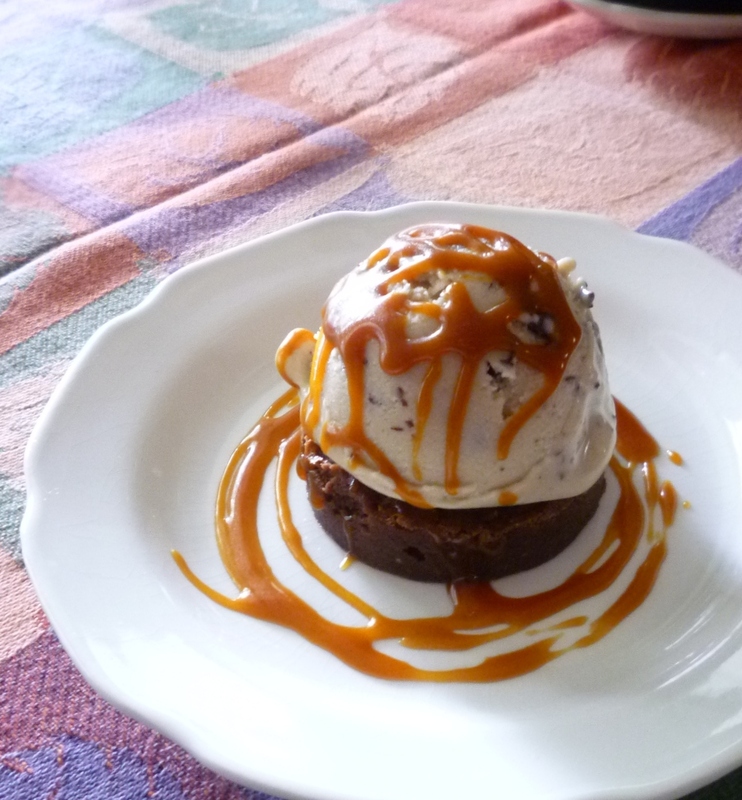 But I made this particular ice cream for a client a couple of weeks ago and it has been in my mind ever since. They loved it...and making and serving it reminded me of how very much I like it. Besides, to me ice cream is seasonless...I could probably enjoy a big bowl of it during a snow storm (in front of a roaring fire...wrapped in a big blanket...). 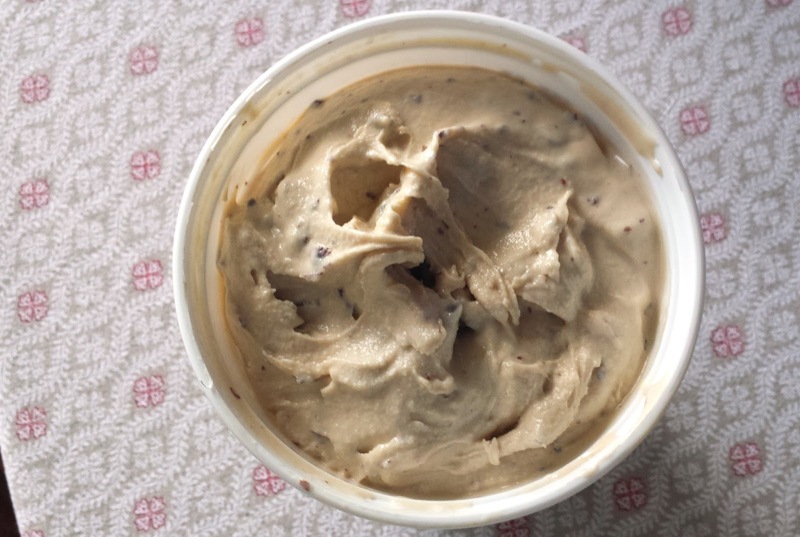 I have adapted my recipe for Roasted Banana and Chocolate Flake Ice Cream from David Lebovitz's Roasted Banana Ice Cream recipe. It is an unusual recipe in that it contains no eggs and no heavy cream. While I tend to use less cream in my ice creams than most, I typically use a higher proportion of egg yolks. The more yolks used, the smaller the ice crystals in the frozen custard. This in turn gives a creamier result. If anyone other than Lebovitz were the source of this recipe I wouldn't have even looked at it twice. But since he is an ice cream maker par excellence, I decided to give it a try. And I was not disappointed. This simple...and very lean...recipe produces a smooth, creamy, rich tasting ice "cream" that will be satisfying to anyone who loves ice cream. I wish I knew why it worked... I can only guess that it has something to do with the properties of a banana. The changes I have made to the basic recipe are fairly minor...and purely a matter of personal preference. I added a touch of honey...and a bit more milk. I think honey (or any invert sugar) is always a good addition to an ice cream since it adds body and also contributes to a creamier texture. I added more milk because without it the roasted banana base seemed excessively thick. The biggest modification that I made was in the addition of some melted chocolate...which forms random chunks and flakes when drizzled and folded into the frozen base. I suppose you could make a case that this is now an entirely different recipe...but it really isn't. It's still all about the bananas. And chocolate is wonderful with bananas. When dispersed throughout the ice cream the chocolate bits add interest and variation without getting in the way of the great banana flavor. 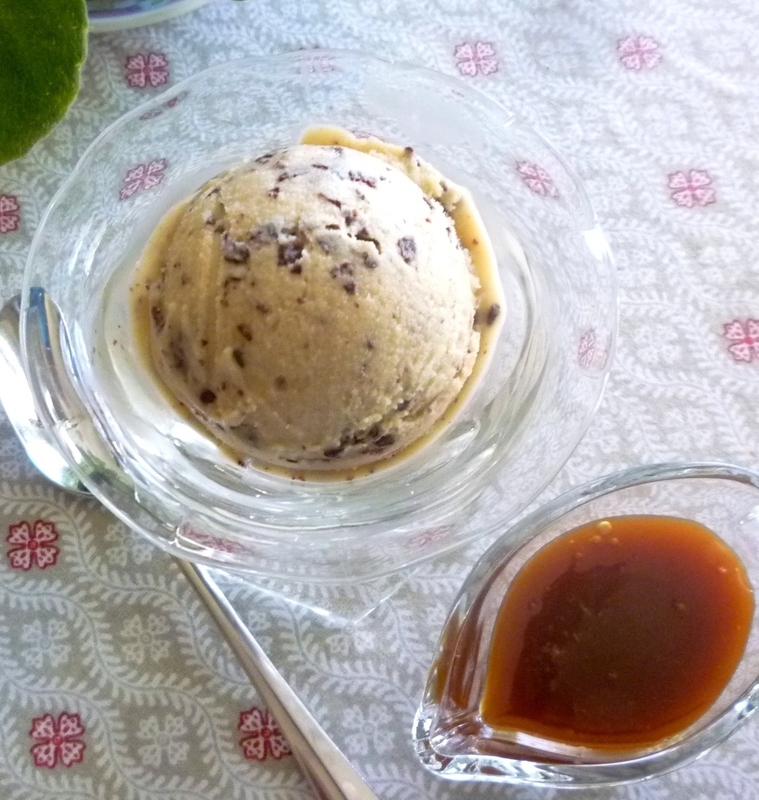 Whenever I make this ice cream, I almost always make Lebovitz's Salted Butter Caramel Sauce to serve with it. You can of course make it and enjoy it all on its own, but there's something about the combination of bananas and chocolate and caramel that is pretty hard to resist. 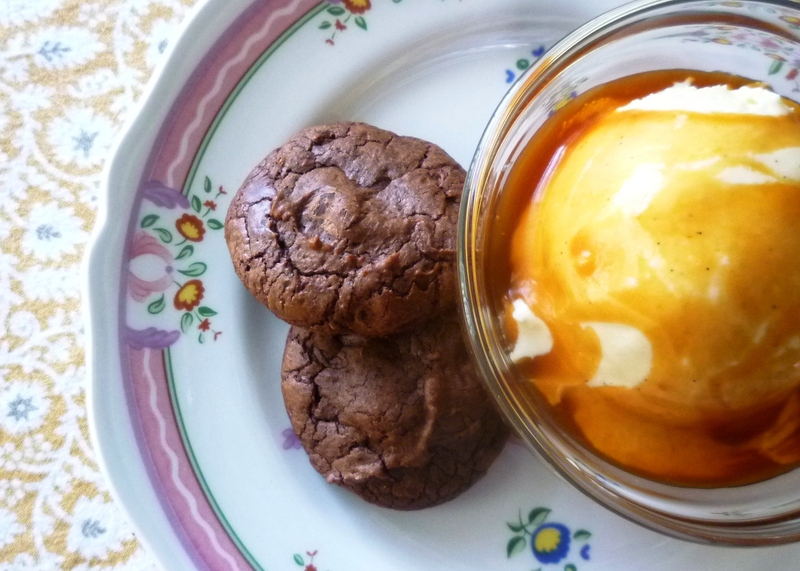 The recipe for the caramel is from Lebovitz's newest cookbook, My Paris Kitchen. 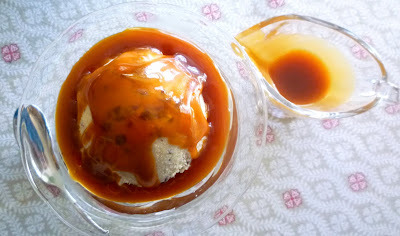 It is without a doubt the best recipe for caramel sauce I have ever come across...I could devote an entire post to it. It is liquid—but still has nice body—at room temperature...and it is soft, slightly stretchy and spoonable when cold. Perfect. The only change I have made has to do with the method. Lebovitz makes it using a wet caramel (the sugar is first moistened with water, then brought to a boil and cooked until it caramelizes). 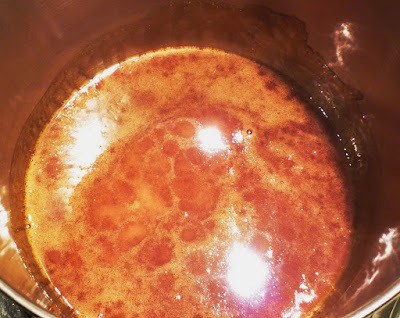 I choose to make it using a dry caramel (the sugar is melted without any added water in a heavy saucepan set over high heat—it caramelizes as it melts). As far as I am aware, both methods will yield the same end product, but a dry caramel is much faster to make than a wet caramel. For a very nice tutorial on making a dry caramel, check out Lebovitz's post on the subject. I mentioned at the first that I had served this ice cream to some clients a couple of weeks ago. When I made it for them, I served a scoop of ice cream on top of a thin circle of dense, fudge-y brownie....and drizzled the whole thing with the salted butter caramel sauce. It was fantastic. 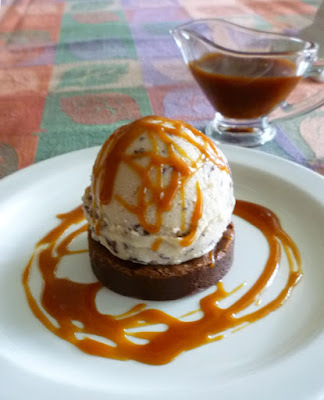 I used a 2/3 batch (so it would be thin) of one of my favorite brownie recipes...but any homemade (please don't serve this delicious homemade ice cream and sauce on a mix brownie....) fudge-y brownie should work, as long as it isn't too thick. As delicious as this little Sundae was, it falls firmly into the arena of gilding the lily. I have also served the ice cream and sauce with chocolate cookies. But those too, are not really necessary...unless your goal is to emphasize the chocolate aspect of this dessert. 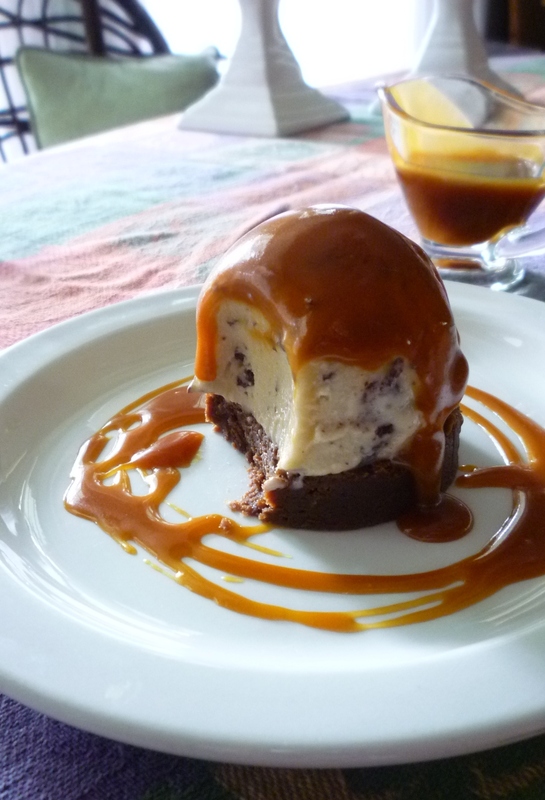 For myself, I find that the ice cream and sauce...all by themselves...are perfectly satisfying. Preheat oven to 400° F. Slice the bananas into half inch pieces and toss them with the brown sugar and butter in a 2-quart baking dish. 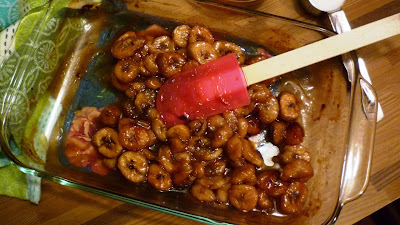 Bake, stirring once or twice (being careful to scrape down any caramelized sugars on the sides that threaten to burn), until the bananas are browned and cooked through and the liquid is thick and syrupy—about 35 to 40 minutes. 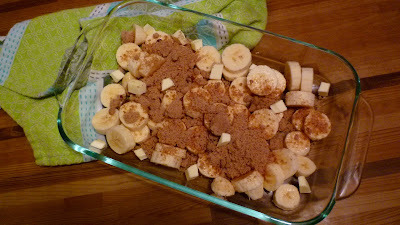 Scrape the bananas and the syrup into the blender. Add 1 1/2 cups of the milk (splashing some of it into the baking dish first to rinse out any of the syrup that remains), granulated sugar, honey, vanilla, lemon juice and salt, and purée until smooth. Transfer to a bowl. Add the remaining half cup of milk to the blender and run briefly to thin any of the banana mixture that remains. Add this to the rest of the mix in the bowl and whisk until homogenous. 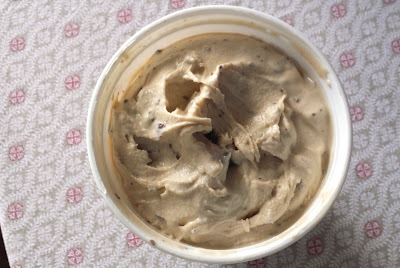 How you add the chocolate flakes will depend on your style of ice cream maker. The basic idea is to drizzle the chocolate into the finished, softly set ice cream a bit at a time and fold it in before drizzling in some more and folding again. The process is repeated until all the chocolate has been added. (Recipe adapted from The Perfect Scoop by David Lebovitz). Spread the sugar in a deep saucepan. Place the pan over medium-high to high heat. Watch carefully—the sugar will immediately turn to caramel as it melts. Shake the pan occasionally to prevent the melted sugar from burning and to expose more dry sugar to the heat. If the sugar begins to smoke, lower the heat a bit. Eventually there will be a few hard lumps of sugar floating in liquid caramel. Remove from the heat and stir until all the lumps are dissolved and the caramel is a clear golden amber. Briefly return the pan to the heat to dissolve any stubborn lumps and, if necessary to deepen the color a bit. The final caramel should be a deep amber and should just be beginning to smoke. Remove the pan from the heat and carefully drop in the cubes of butter (along with 1/4 t. of kosher salt if using unsalted butter). Stir the butter in with a whisk until it’s completely melted, then gradually whisk in the cream, stirring until the sauce is smooth. 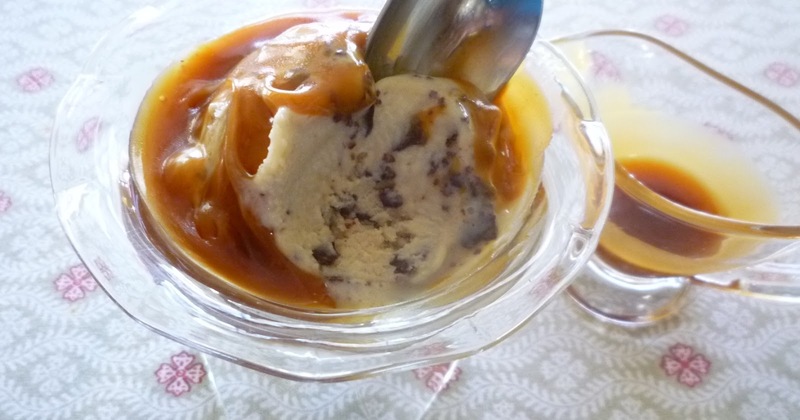 If there are stubborn bits of caramel stuck to the bottom, loosen them with a wooden spoon, and stir them in. If they refuse to melt, rewarm the sauce over low heat, which should do the trick. Once the sauce is cool enough to taste, you may want to add a bit of salt. (I like to add about 1/4 to 3/8 t. kosher salt.) The sauce will keep for up to 2 weeks in the refrigerator and can be reheated before serving. If cooled and rewarmed, it may need to be thinned with a bit of cream or milk. Makes 1 1/3 cups sauce.